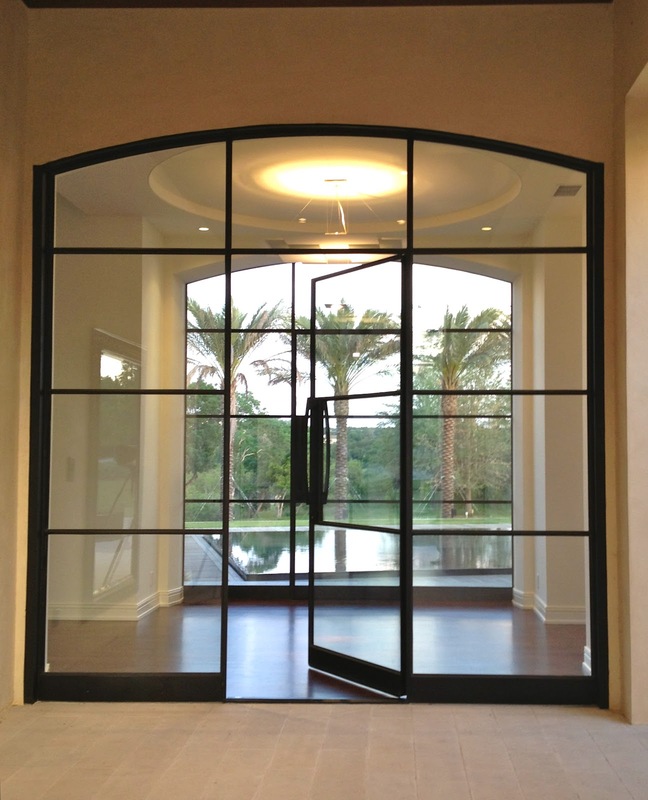 Steel single door with sidelites and transom – Total unit size is 11′ w x 11′ 6″ h. Portella’s propriety narrow profile creates a clean crisp open feeling in this entry. 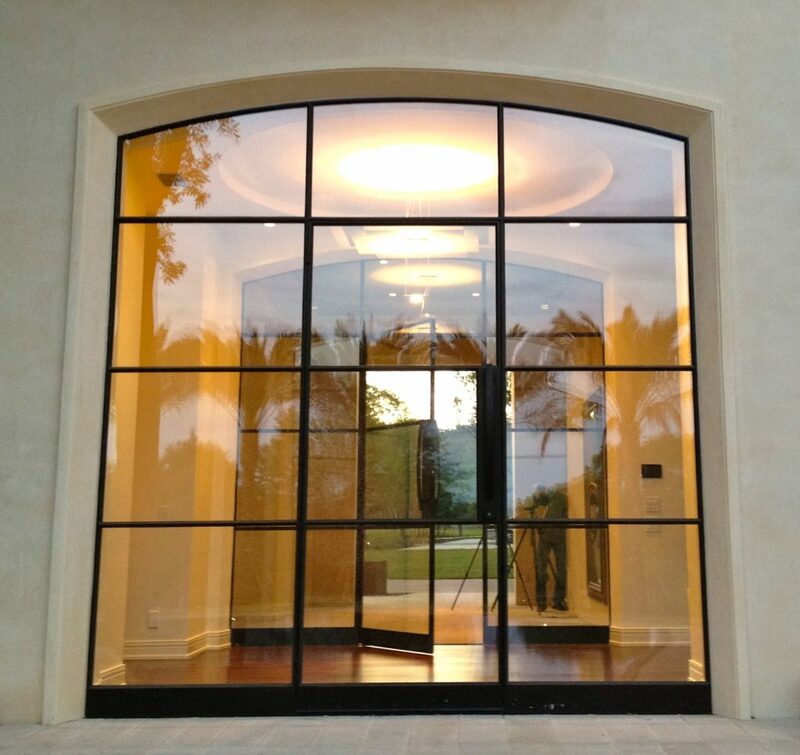 This was a remodel project where Portella Steel Doors replaced steel units made out of tubing with wide sitelines. 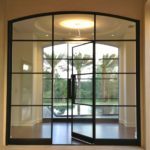 The Home Owner also opted to replace the back window located across the foyer, with another Portella unit matching the entry. The view is fabulous as you enter the covered Portico and look into the back pool surrounded by large palms! 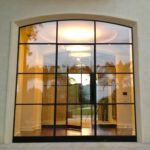 Steel frames between door and sidelites and top of door and bottom of transom are same size as horizontal T bars. Portella’s propriety profile keeps these critical lines at 1 1/4″, compared to 3″ to 4 1/2″ with our competitors. 2nd entry was added to allow view and access to the stunning pool outdoor area.